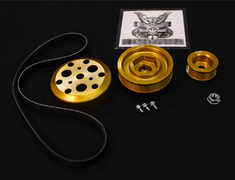 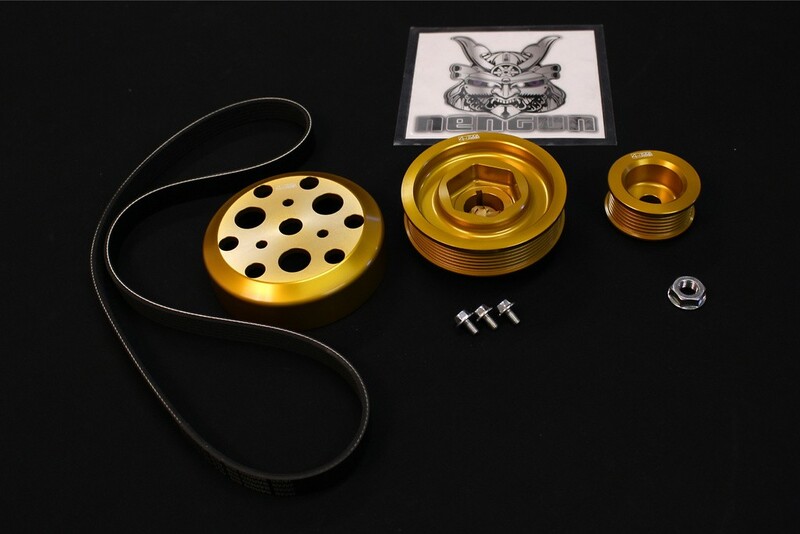 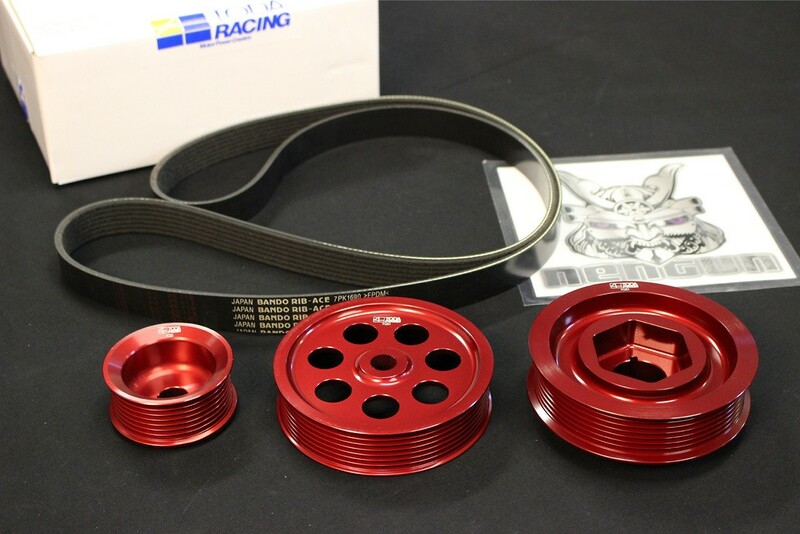 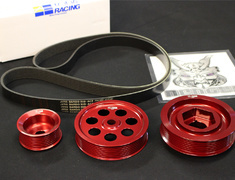 The Ultra Light Weight Crank Pulley Kit is designed to give lighter and sportier engine characteristic. 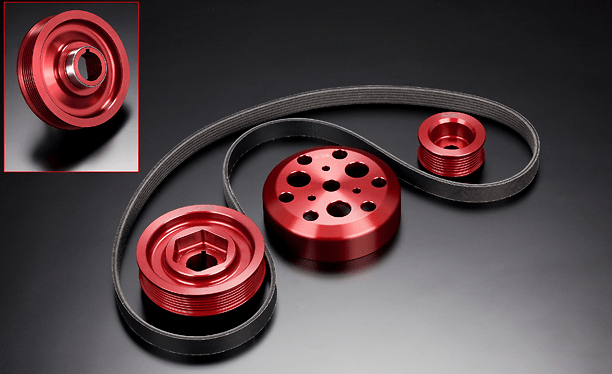 The Ultra Light Weight Crank Pulley Kit is designed to give lighter and sportier engine characteristic. 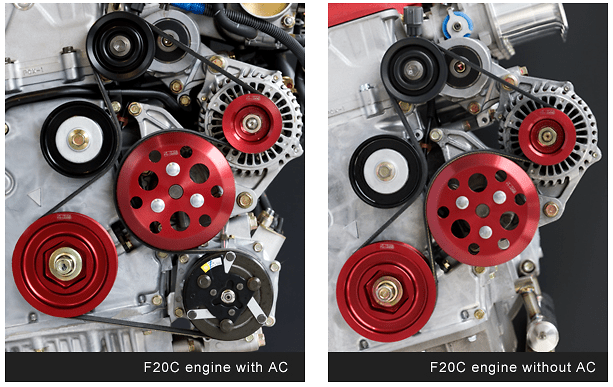 Designed to reduce the overall weight of the 3 pulleys, the burden on the engine is reduced to help improve acceleration performance. 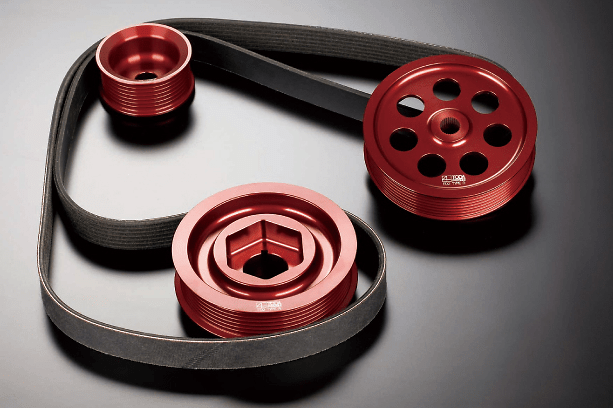 Using the new belt provided helps improve the running and smoothness of the new pulleys. 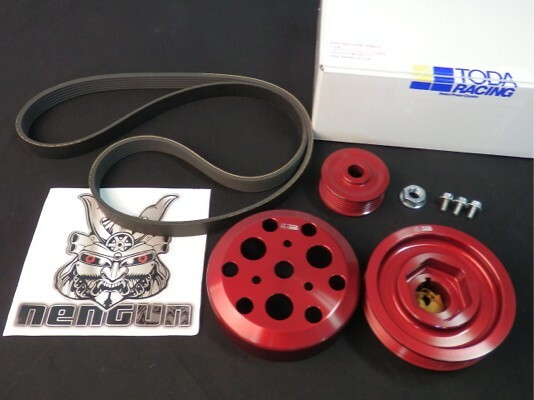 The Crank Pulley kit is designed to reduce friction improving the sealing and thus will also reduce wear.